As a blogger, have you ever wondered what sort of style you have been using in your writing? Of course, every blogging platform makes you choose a template theme, work on the optimization of the pages and do a whole lot of other things, but writing format is something that is often overlooked and one of the significant reasons of failure of many blogs. If you were to ask blogging professionals, they would tell you that a blog writing formats as much crucial to a blog’s success as any other aspect of it. We write this post to bring out these popular layouts and writing-styles in front of you. A knowledge of these formats will help you especially if you are looking to start a blog. The formats that we mention here are easy to apply and will help you write on any given topic. Let’s get started. Creating lists is among the most used writing methods out there. Not only is this blog writing format a preferred reading style of the website viewers, but it is also a convenient way for writers to put forth their content. To create a post in this manner, all you need to do is introduce your topic to your readers and then head onto creating a list of whatever that may be relevant to your article. Such posts are often received well by the readers, and you can use this style in almost all kinds of writing. You can notice this successful method of creating content in the making of YouTube videos of famous channels like Watch Mojo. Such posts have titles like ‘top 7 ghost movies for Halloween 2019’, which gives a heads-up to the readers on what they should expect inside the article. Although this blog writing format is known to be successful, make sure not to write long lists, as they might be tedious to read. Introduction-Insight-Body-Conclusion. After the lists, this is the second easiest blog writing format that you can come across. To write in this manner, all you have to do is to start with the introduction of your topic and dedicate the following paragraph as insights to what your readers are going to read next. It is essential to rightly mention what lies ahead of them, as it is this paragraph where many of your page viewers leave your page if they find that there is nothing of value for them ahead. After giving an insight, you can put your content in the body of the article. Here, you can add the list style to be able to use subheadings and keywords for making search-engine-optimizations. After everything is done, you must end the post with a conclusion. Make sure that the concluding paragraph is structured in a manner that makes the reader feel that they learn something useful. Questions and answers are a smart way of writing tutorial blogs. With this type of blog writing format, you can put your content forward in questions and answers structure. People often reach a post by writing a question about it on search engines, and if you use the right keywords in the questions, and provide value answers to your readers, then your blog is sure to become a hit. Using this blog layout, you can solve the problems of your readers while giving yourself an ample amount of opportunity to use the desired keywords in your post. You can create a title with a question in it, like- how to start a blog in 5 simple steps, and even pose questions in subheadings. Popular bloggers often let their readers post questions on social media and later on create blog posts as weekly, or monthly Q&A. Using the conversational writing style does not have any hard and fast layout to follow. It goes on like a conversation, without having any regards to follow. Generally, blogs which include putting opinions on a topic, or an issue, include this style. You can use slangs, write big or small paragraphs, and do all sorts of things in a conversational post. Consider your writing space as a caravan and your words as colors when writing in this style. Do keep in mind that while this blog style might seem to be attractive to you, not everyone is going to like it. Such posts often receive mixed reactions. Many wouldn’t call it a format, but successful bloggers often rely on using images to convey what they want to say. There is less amount of writing and more of pictures doing the talking. Using your keywords in captions is one way of optimizing your post for search engines while creating this kind of blog-posts. We would suggest you use this method when you already have a strong reader base who are sure to visit your blog for new content periodically, as the initial searchability of such material is less because of SEO limitations. 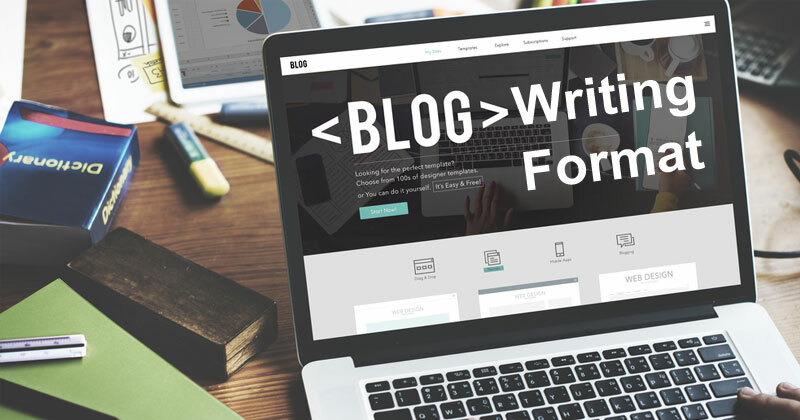 So, Which Blog Writing Format is Best Suited to You? There is no specific format that you should stick to. Even if you might feel that you are comfortable with one kind of blog writing format, your audience might think different. So, give yourself the best chance to recognize your strengths by trying different styles and seeing which ones are received well by your readers.